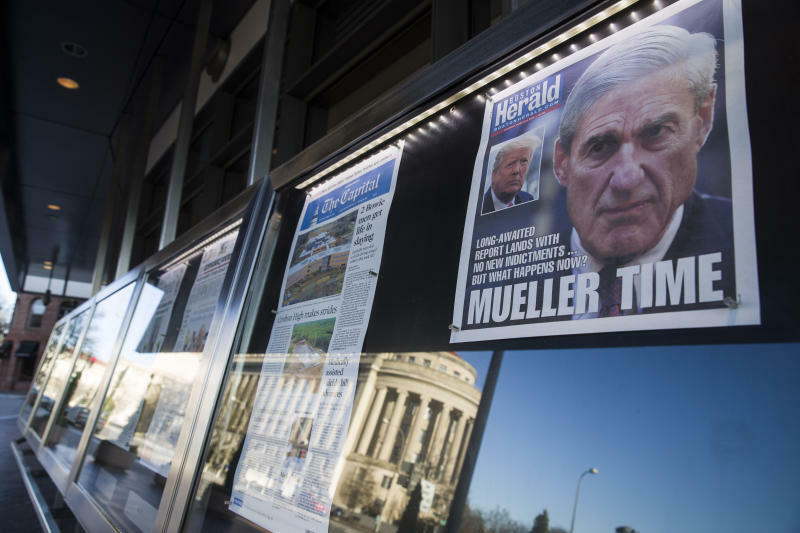 WASHINGTON (AP) — Special counsel Robert Mueller has wrapped up his investigation, but whether the public will get answers to consequential questions about President Donald Trump and Russia remains to be seen. Attorney General William Barr is combing through Mueller's report and will release at least some of his findings publicly. DID THE TRUMP CAMPAIGN COLLUDE WITH RUSSIA DURING THE 2016 ELECTION? Mueller's team has assembled perhaps the most detailed account of Russia's election interference and the actions of Trump campaign officials and associates in 2016, interviewing scores of witnesses and amassing millions of documents and other pieces of evidence. Even before Mueller finished his report, court filings show he concluded that Russia launched a large-scale, multi-part influence operation that sought to help Trump's campaign and hurt Hillary Clinton's. Filings have also shown the Trump campaign sought to politically benefit from Russia's efforts. But the special counsel's probe ended Friday with no Americans being charged with crimes related to the Kremlin's attempts to sway the election. A Justice Department official also confirmed that Mueller is done bringing indictments. What remains to be seen is what Mueller uncovered that may have fallen short of a crime and whether Barr will publicly address the collusion question head on. The special counsel has scrutinized several episodes, several of which involve the president and former FBI Director James Comey. Prosecutors have interviewed White House officials about Trump's May 2017 firing of Comey and his explanation in a television interview that he was thinking of "this Russia thing" at the time. According to Comey, Trump also encouraged him to drop an investigation into his former national security adviser Michael Flynn; harangued his hand-picked attorney general over his decision to step aside from the Russia investigation and tried to get him to reverse his recusal decision; and publicly attacked at least one cooperating witness, his former attorney Michael Cohen, as a "rat," raising questions about whether he was attempting to intimidate associates to prevent them from testifying against him. Also of interest to Mueller: The president dictated a misleading statement for the news media about a Trump Tower meeting at which his oldest son expected to receive damaging information about Clinton. The statement said the meeting was about adoptions but omitted the real reason why Donald Trump Jr. took the meeting in the first place. Mueller has adhered to Justice Department legal opinions saying a sitting president cannot be indicted. But Mueller could have laid out his findings on the question of obstruction in his report, given that it was one of the original parts of his appointment order. Whether the public will ever know is up to Barr. WHAT ABOUT THE JUNE 2016 TRUMP TOWER MEETING? It appears Mueller found no prosecutable crimes related to it. The Russia probe concluded Friday without anyone involved in the gathering being charged because of it. That includes Trump Jr. and Trump son-in-law Jared Kushner. The June 9, 2016, meeting with a Russian attorney, Natalia Veselnitskaya, has been a source of endless public intrigue and a longstanding subject of the investigation. Trump Jr., who invited Kushner and then-campaign chairman Paul Manafort to the meeting, was promised dirt on Clinton as part of an ongoing Russian government effort to help his father. Trump Jr. responded enthusiastically to the overture, but after the meeting was disclosed, asserted that he had received nothing of note from Veselnitskaya and dismissed it as a veritable waste of time. Prosecutors took grand jury testimony from multiple participants at the meeting, including a British music promoter who helped arrange it. But they never directly referenced it in court filings. It's unclear whether Mueller will lay out what he learned about the meeting and how it factored into his larger probe. Veselnitskaya faces unrelated charges in New York. WHY HAVE SO MANY TRUMP ASSOCIATES LIED ABOUT RUSSIA? George Papadopoulos. Michael Flynn. Paul Manafort. Roger Stone. Michael Cohen. According to Mueller, all of these men lied in one way or another about something to do with Russia and Trump. Papadopoulos lied about contacts he had with a Maltese professor who told him the Russians had dirt on Clinton in the form of emails. Flynn lied about his conversations during the presidential transition with Russia's ambassador. Manafort lied about his interactions during the campaign with an associate the FBI says has ties to Russian intelligence. Cohen told Congress a false story about a business deal Trump was pursuing in Russia during the election. He says he lied out of loyalty to Trump and to be consistent with the president's public denials about Russia. For the rest, the motivation remains a mystery. DID MUELLER ANSWER THESE QUESTIONS IN HIS REPORT? He could have but it's not required. Justice Department regulations say only that Mueller must explain his "prosecution and declination decisions" in his report to Barr. 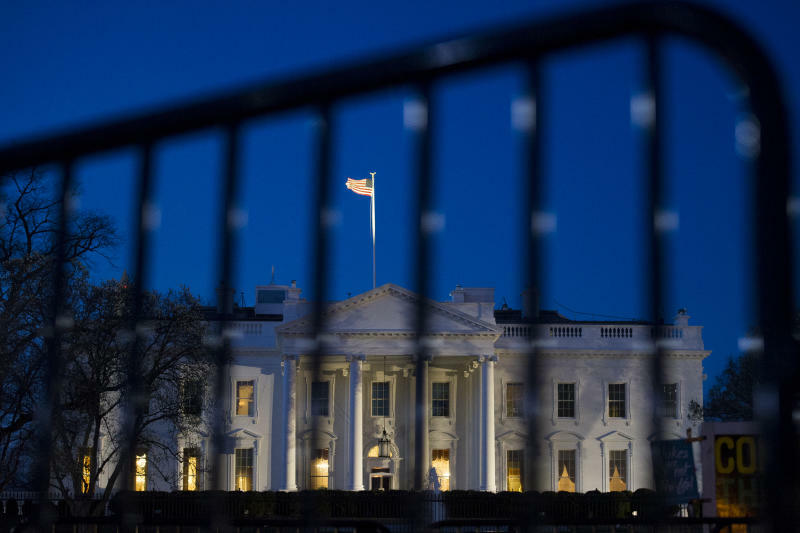 A Justice Department official said Friday that the special counsel's report was "comprehensive" and Barr's letter to Congress is expected to summarize its "principle conclusions."